Welcome back to the sequel of my growing creatures series! After I showed you my tiny creatures inside their plastic pack after I bought them, time now to remove them on their shield. And these how they look like! 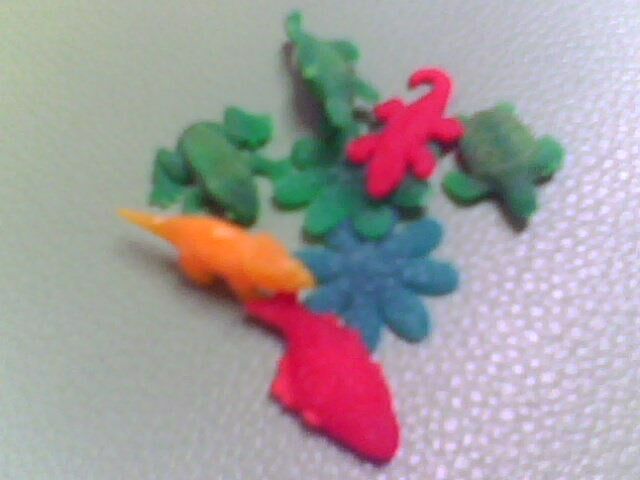 As I have said, two types of creatures were inside a plastic pack. I have a total of four plastics. Therefore all my growing creatures were equal to eight! I have eight different creatures, tiny for now but later they were grow big! Fall In Line...First Come, First Serve! Just like what you see, I have a frog, a turtle, a reptile, a dinosaur, a fish, a lizard, and two starfish! They were too cute though too small in size by now! Hmmm...have you imagine how they will look when they grow?! Another thing that I have observed, seems that these creatures were both can live on land and on water! 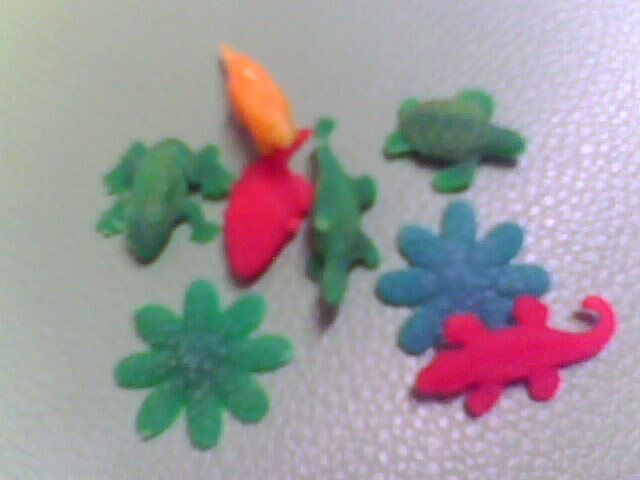 Like the frog, the turtle, the reptile and the starfish! 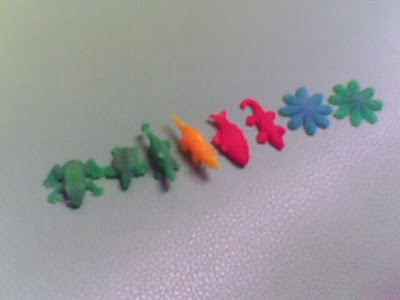 But of course except for the lizard and the dinosaur which could only live on land while the fish is only for water! But in their case, they have no choice! Yeah all of them will live in water in order to grow!